Today we launched an all-new Help Center to help you learn more about Notejoy and answer all of your questions. You can easily search the Help Center for your feature questions. If you can't find an answer, we encourage you to reach out to us via the Contact Us link on the page as we'd love to hear from you and keep adding new helpful content to the help center. 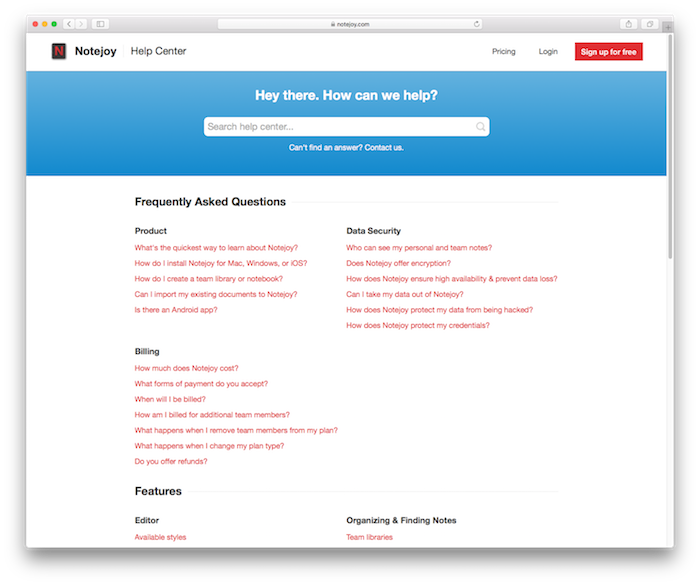 Just click the Help menu item in the user menu in the bottom left corner of Notejoy to get to the Help Center.